Will Walt Disney World Offer Fall Free Dining for 2018 ? 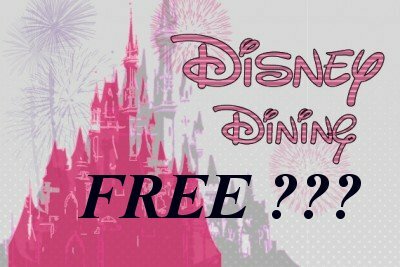 For quite a few years now, the Walt Disney World Resort has offered a Fall Free Dining Promotion, offering one of the dining plans for free, based on the level of resort (Value, Moderate, or Deluxe) that you stayed at, with a specific length of stay and type of ticket required. The Offer also always offers you the option of paying to upgrade from which ever Free Dining Plan you are offered to a more expensive one. Originally, the Free Dining Promo was brought out as an incentive to fill the resorts in what was typically a slower season. Over the years this need has gradually gone away. Now some guests begin booking fall vacations 6-8 months in advance, guessing on dates, in hopes of Free Dining being offered. Also, as we have seen in the past 4 years, The Annual Epcot Food & Wine Festival, Mickey’s Not So Scary Halloween Party (MNSSHP), and Mickey’s Very Merry Christmas Party (MVMCP), have become EXTREMELY POPULAR, with the past 3 years also seeing additional dates for these events being added each year! With guests flocking to these events in greater numbers each year, many people keep wondering when or if the Fall Free Dining Promo will finally come to an end? Disney has already tested a “Free Quick Service Meal” per day promotion for summer in both 2017 and 2018, which sold out quickly. On April 11, 2018, the RUMOR MILLS began spreading the word that Fall free Dining will be offered for 2018, but NO OFFICIAL WORD FROM DISNEY has been released. These RUMORS are being based on recently released European and South American offers which are always a bit different from ours here in the United States. These areas also often get promos that we don’t due to the longer length of stay from many of these countries. The rumors for 2018 are showing Disney’s Quick Service Dining Plan for Value & Moderate Resort, and Disney’s Dining Plan for Deluxe Resorts and Deluxe Villa Resorts. They also show less resorts being offered the promotion, and more blacked out dates during the fall months (less November, more August). No one will know for sure until the promotion is released, IF it is released. Since even Travel Agents don’t get more than 24 hour advance notice, our travel consultants here at Destinations with Character Travel Agency will be manning their phones and monitoring all sources during these next few weeks (which is typically when Free Dining is released) to see IF and WHEN the promotion is released, so they may quickly apply the promotion to any clients currently booked for whatever time period the promo may be released for. In the email, you must list your name, number of adults with names, number of children with names and ages, your 1st, and 2nd preferred resort, and your preferred dates or we will not be able to help you. Walt Disney World® GATEWAY HOTELS Now Available Through Your Travel Consultant!